The exchange of heat between the infant’s skin and the environment is influenced by insulation provided by the skin, the permeability of the skin, and the environmental factors such as the ambient temperature and humidity, airflow velocity, and characteristics of surfaces where the infant is positioned. High incidence of postnatal hypothermia has been reported in high- as well as low-resource countries, and it is an independent predictor of neonatal morbidity and mortality. All efforts should be put in place to prevent heat losses at birth, especially in very preterm infants. Interventions include delivery room temperature >25 °C, use of infant warmers, exothermic mattress, woolen caps, plastic wraps, and humidified and heated gases. Skin-to-skin contact has be considered, especially in low-resource settings. In addition to specific interventions, quality improvement initiatives, including the use of checklists and continuous feedbacks with the staff involved in the management of the neonate, contribute to reduce postnatal thermal losses in very preterm infants. 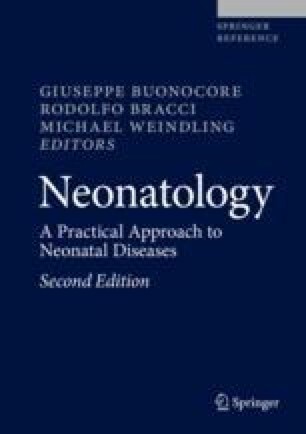 In this chapter, we report the mechanisms of thermal homeostasis in the newborn infant and describe the clinical management of the neonates, especially very preterm infants, to prevent heat losses at birth.